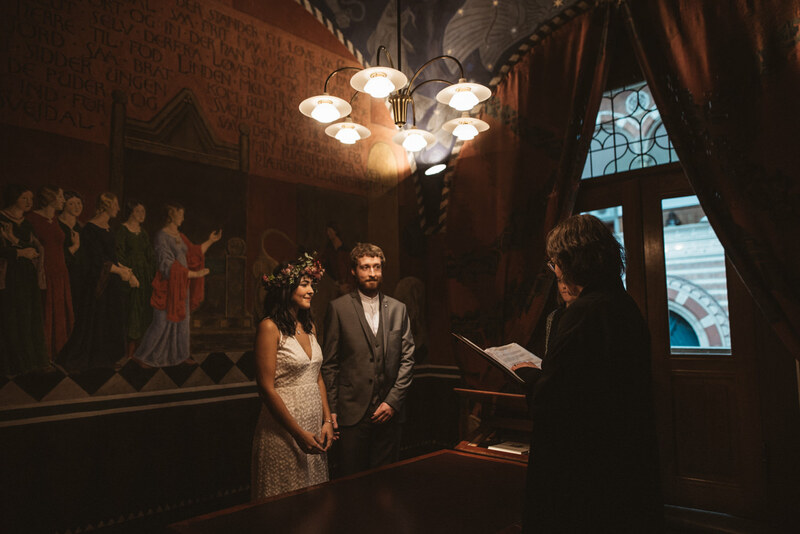 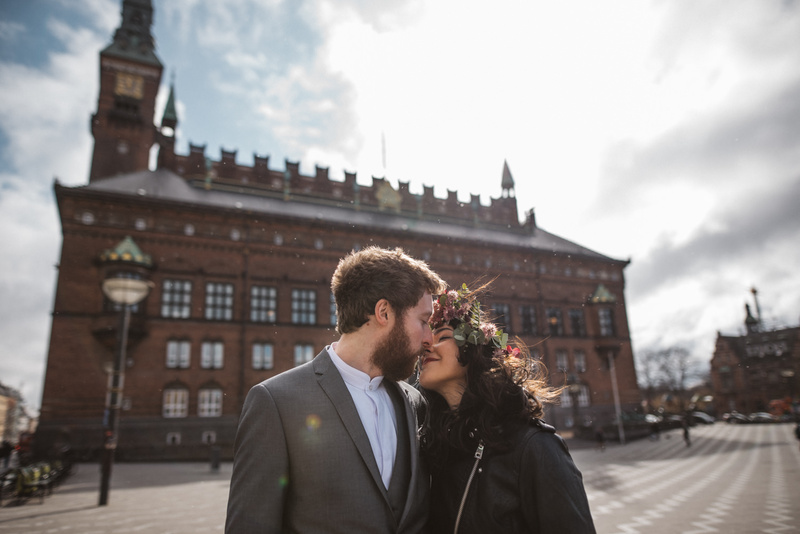 We were thrilled when we read Luisa’s email and her plans about eloping in Copenhagen. 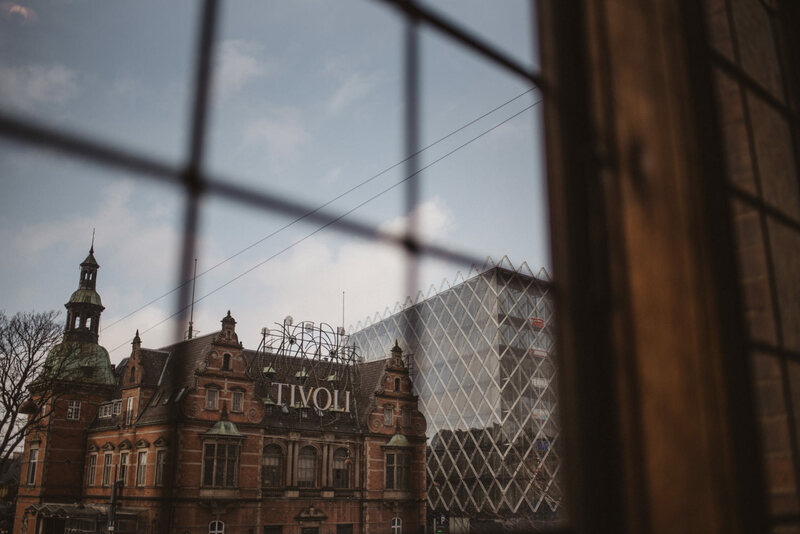 We love this city. 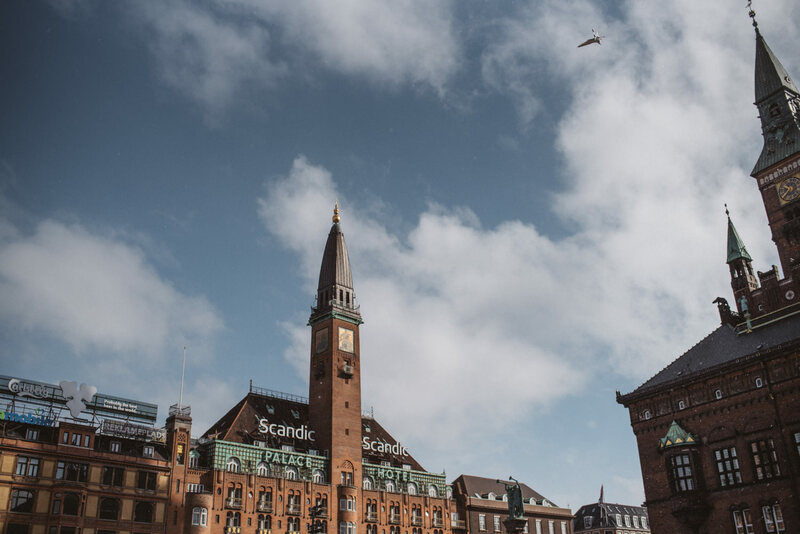 It’s actually one of a few if not the only capital city, we would ever want to live in. 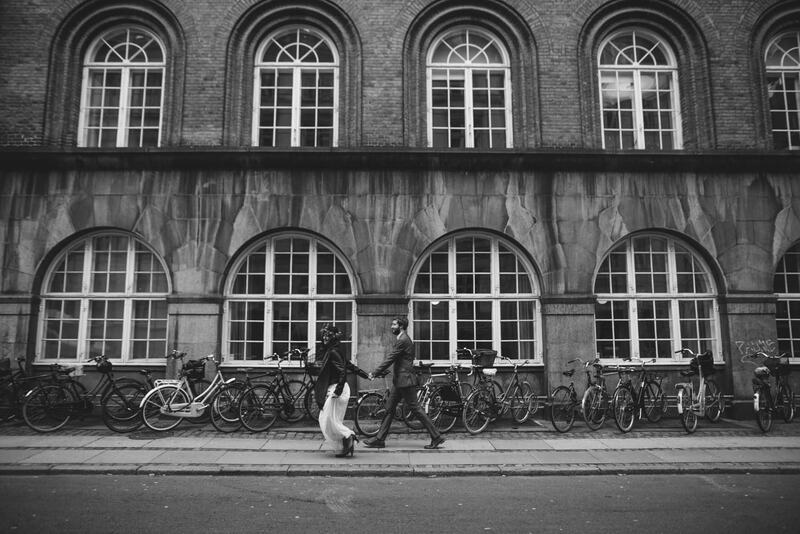 It’s a perfect mix of everything we love. 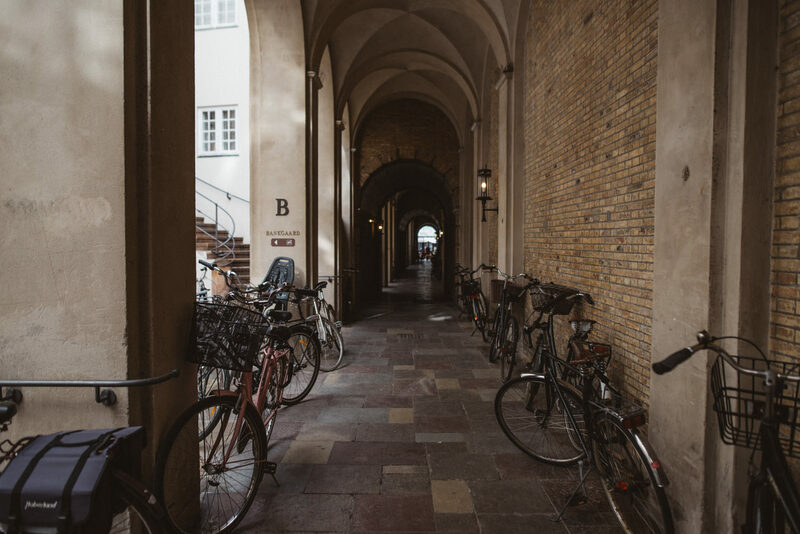 Simon loves the cycling culture and the fact that there are more bikes than cars. 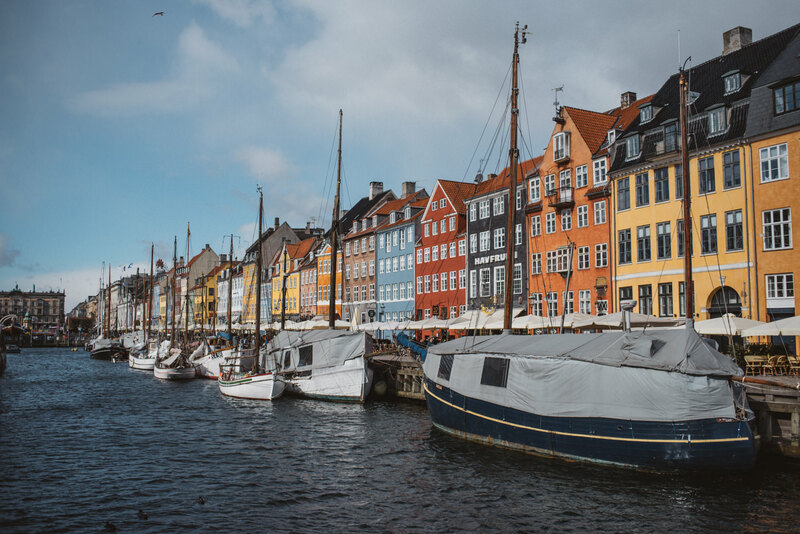 I on the other hand love the minimalistic Scandinavian design and the cosy hygge lifestyle. 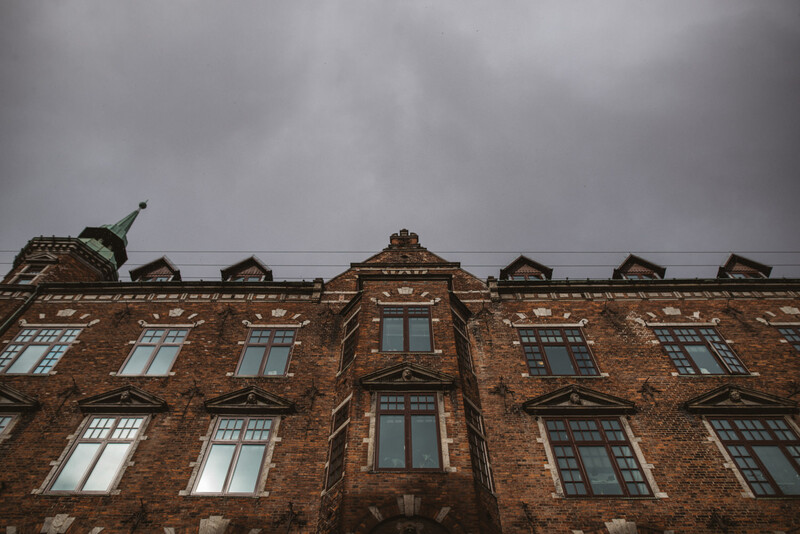 Plus, from a photographer’s perspective, Copenhagen is a very picturesque place, with a combination of colors, old bricks and breathtaking views. 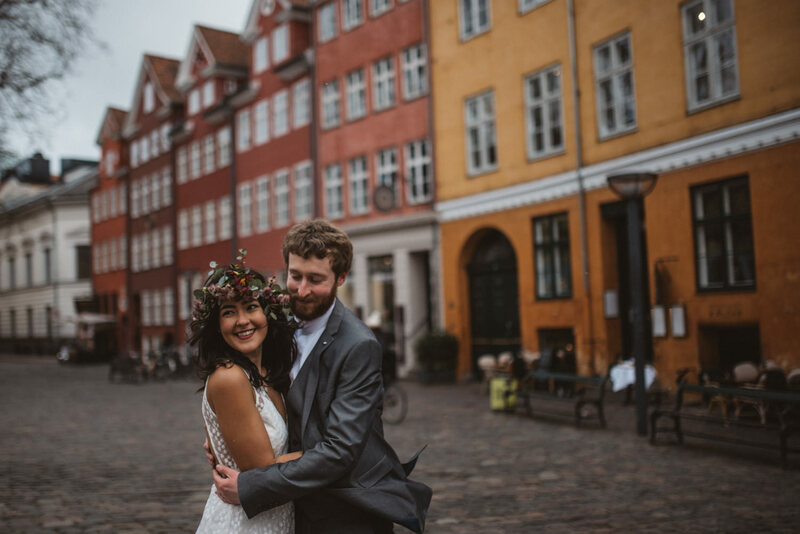 Luisa and Eoghan decided to celebrate their love in Copenhagen. 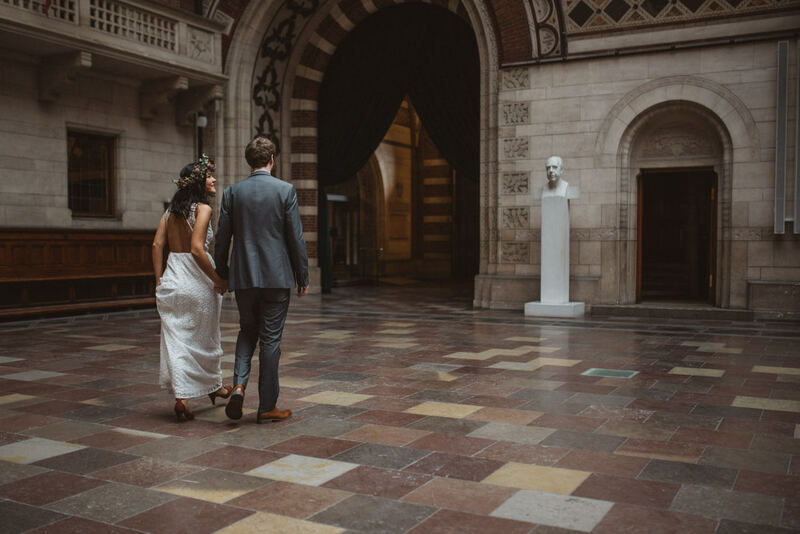 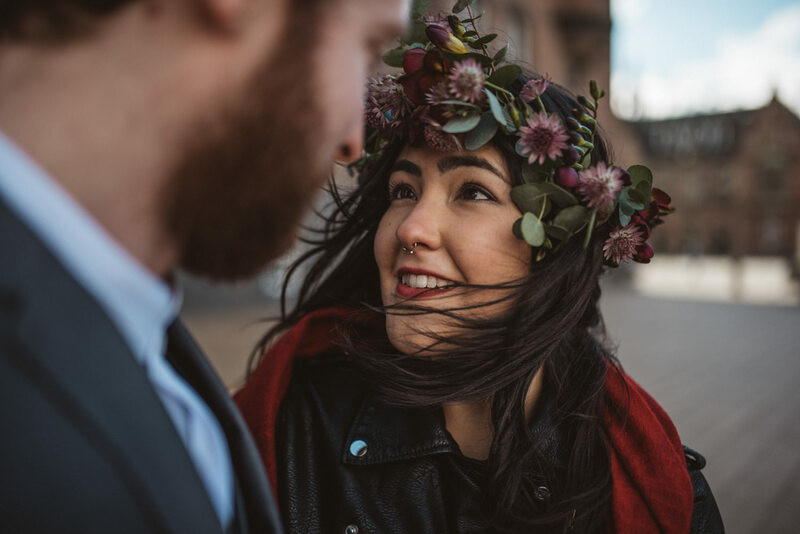 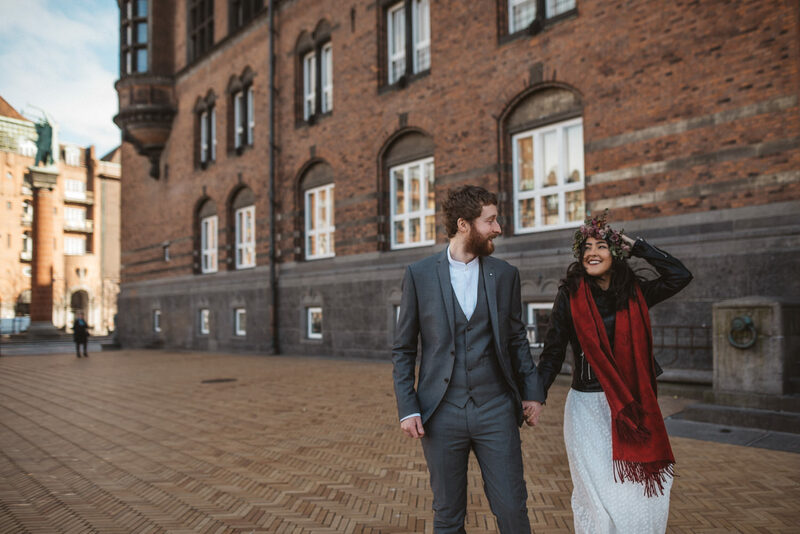 The joy of being together again in the midst of the narrow streets, colorful architecture, vintage fisherman’s stores and boats and the trendy culture is what inspired Luisa and Eoghan to elope in this lovely city. 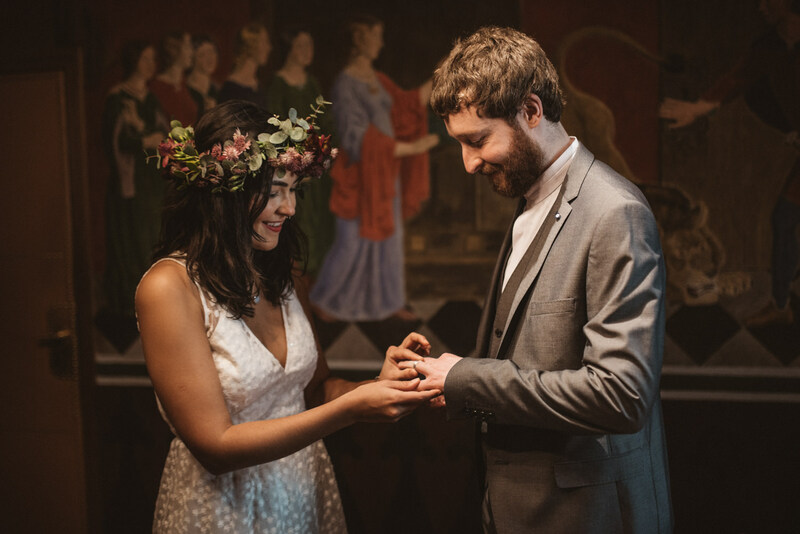 Just like ours, their story began at a bar, except it was a pub in Ireland. 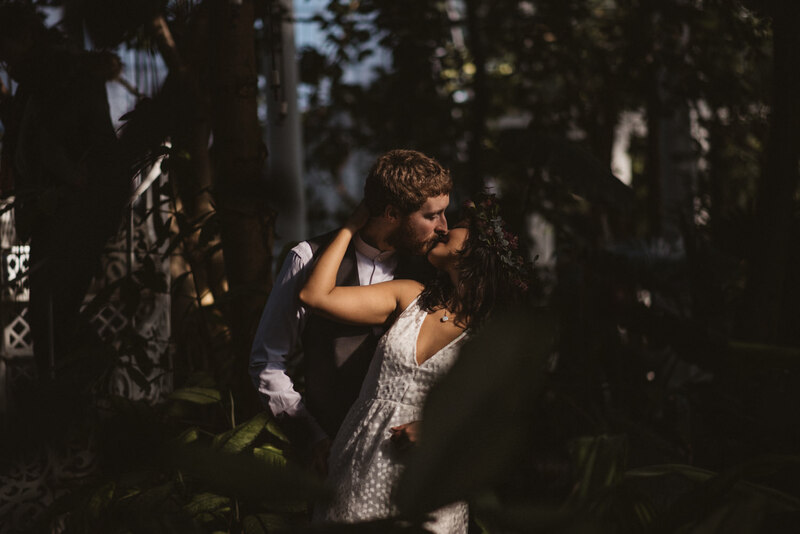 We immediately hit off. 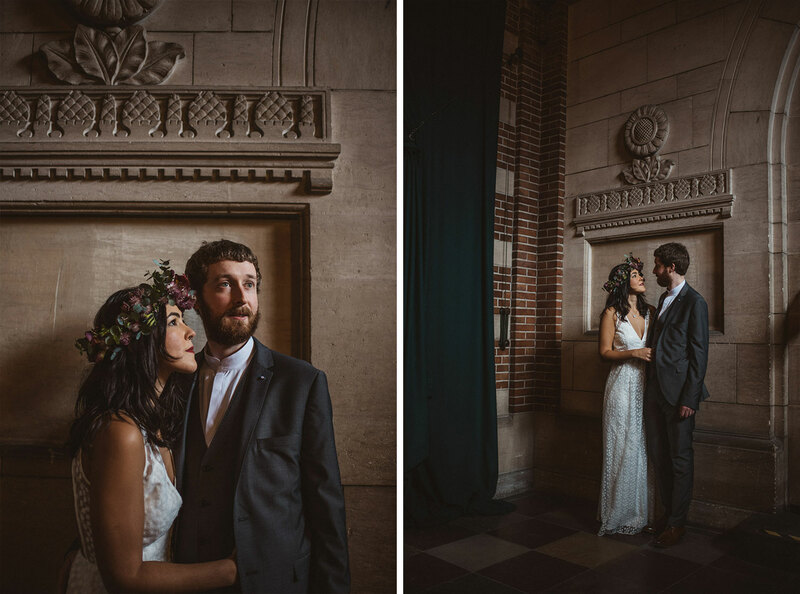 We loved the fact they were so open to share their story and just be present in the moment. 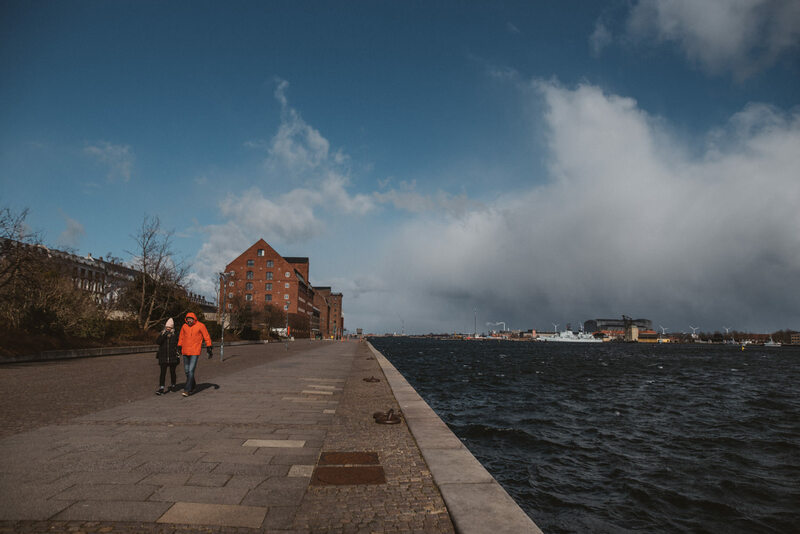 Even though it was freezing cold (we were freezing in our winter jackets and boots), they enjoyed the afternoon stroll through the city centre and kept themselves warm with a bit of Irish whiskey. 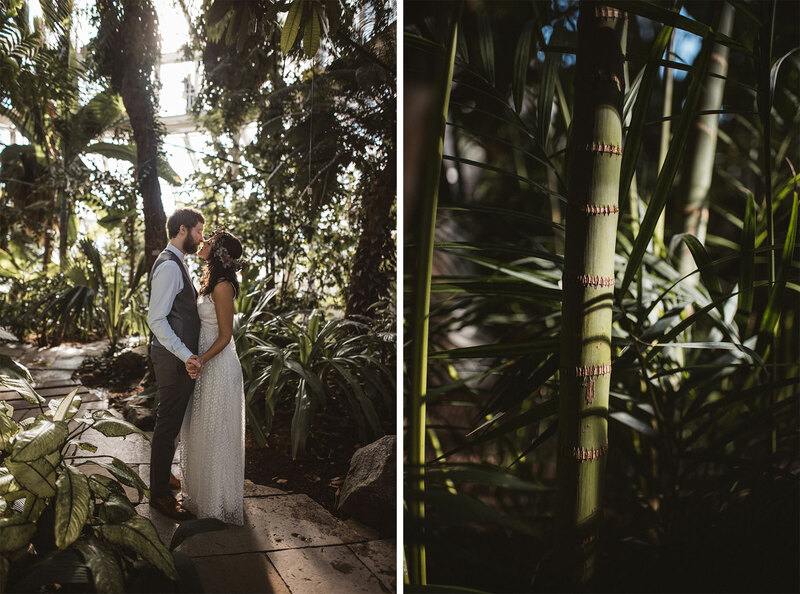 After experiencing everything from sun, harsh wind and snow, we visited the greenhouse in the botanical garden. 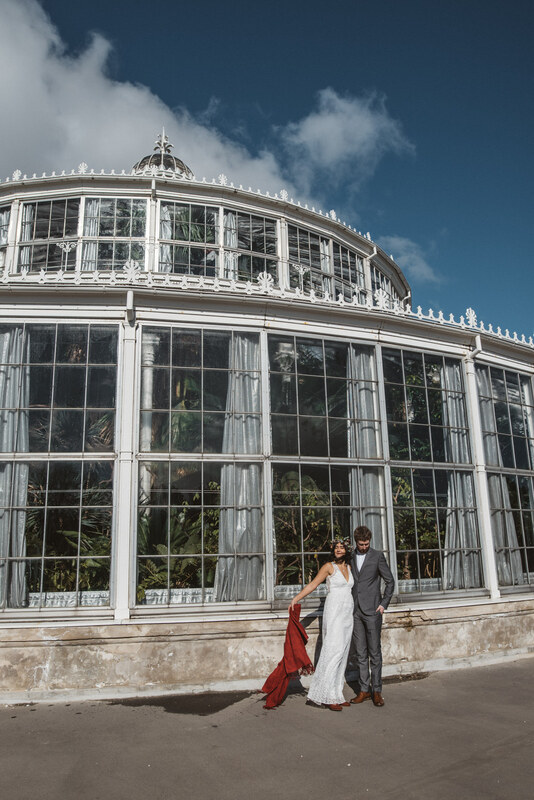 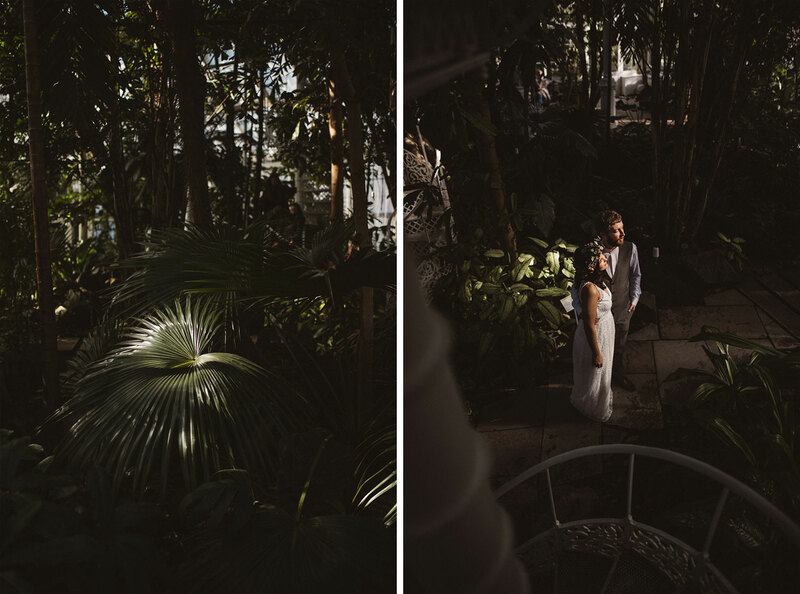 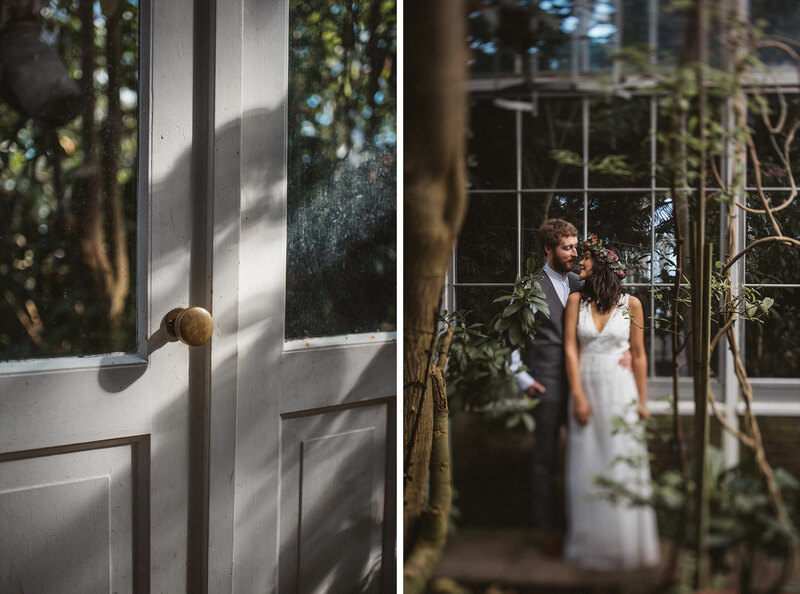 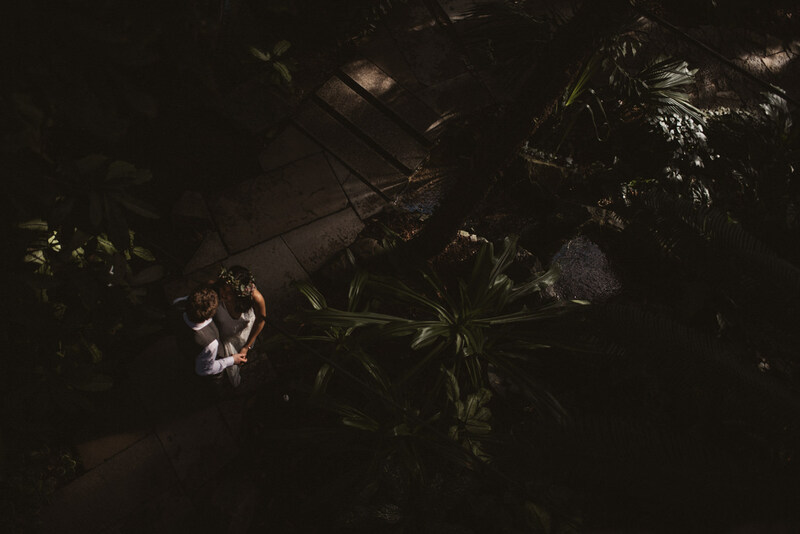 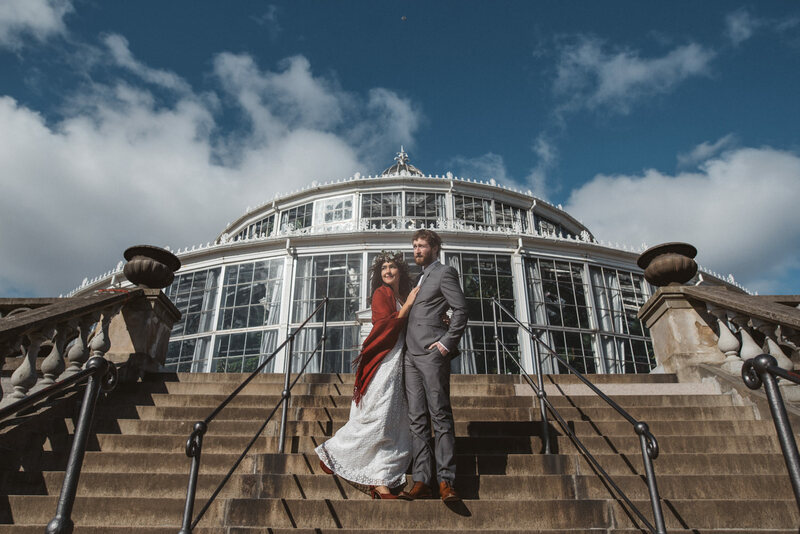 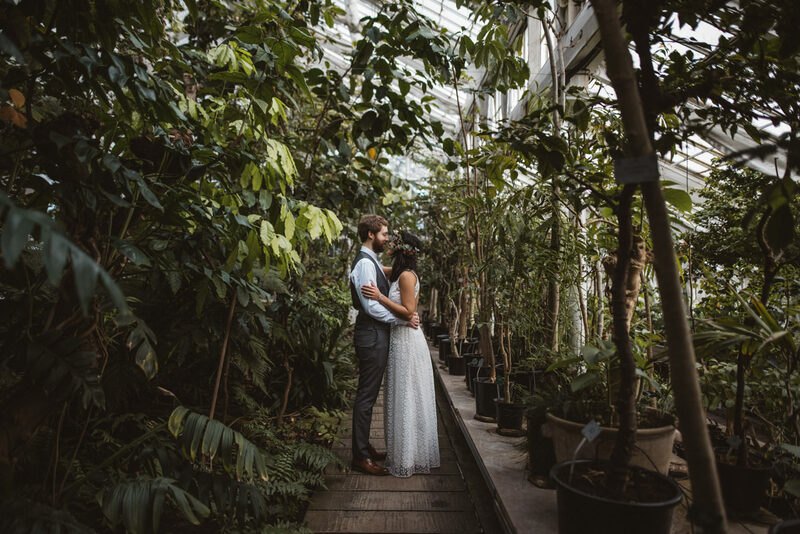 The warm atmosphere and palm trees in the greenhouse were perfect way to add a bit of tropical flavour, to celebrate the bride’s Brazilian roots. 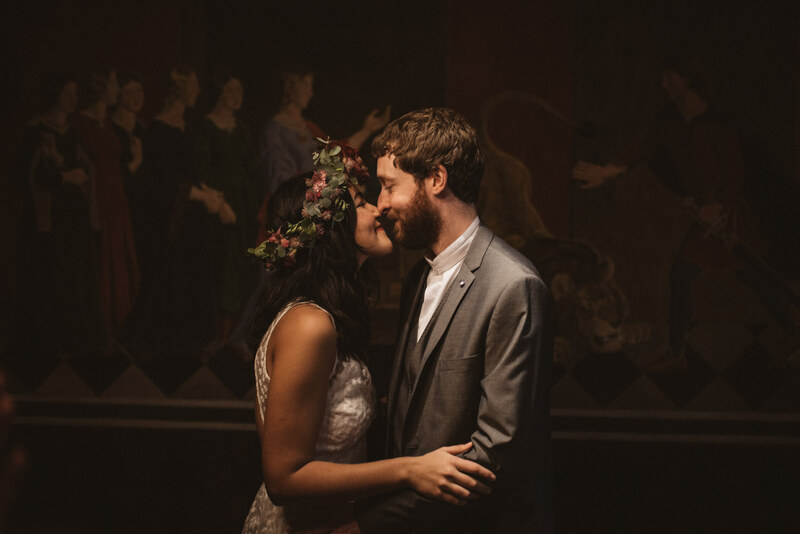 Couples like Luisa and Eoghan, are a true blessing for us. 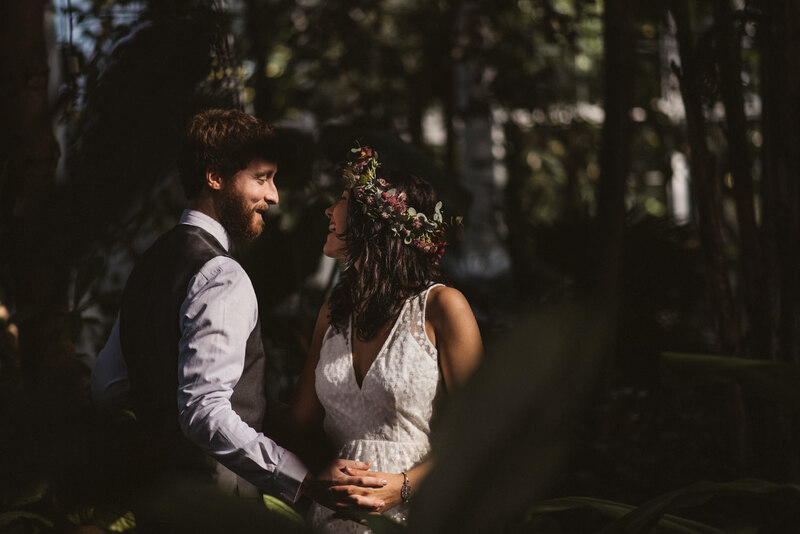 They knew what they wanted and trusted, that we will create beautiful and unique memories for them, without a hint of doubt. 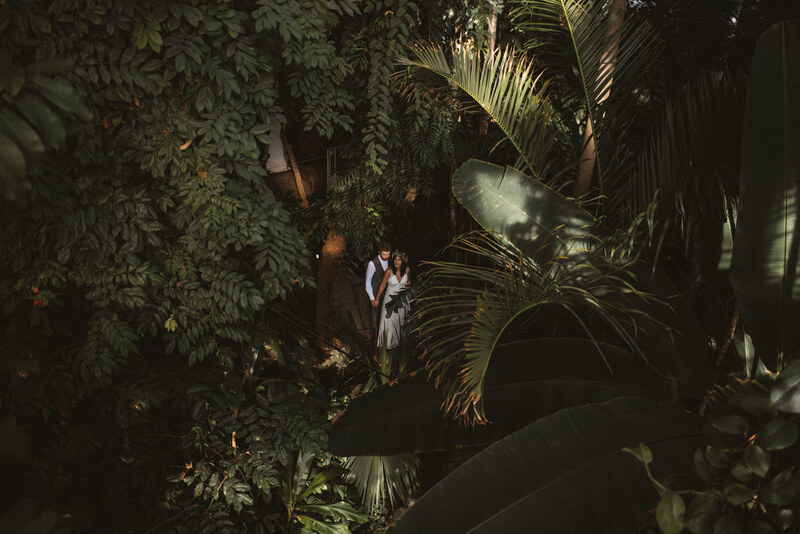 We believe the trust our couples have in us, is one of the most important parts of the experience. 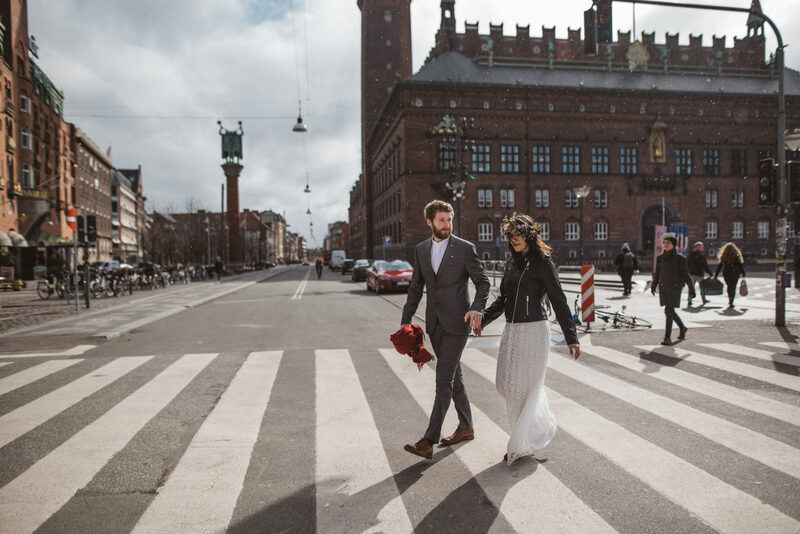 The more you are able to let go of all the fear, doubts and expectations, the more you can enjoy in the moment and expose you personalities and love. 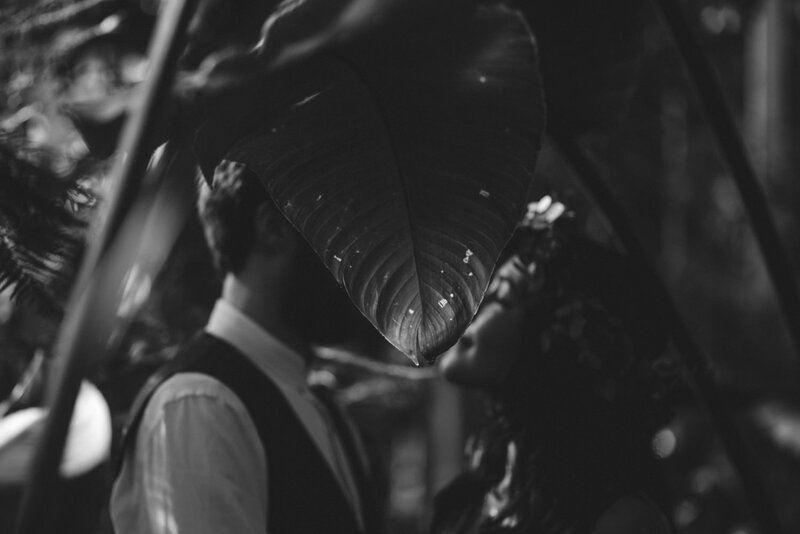 And we can then capture that pure love in a honest, intimate way while creating memories that will last a lifetime. 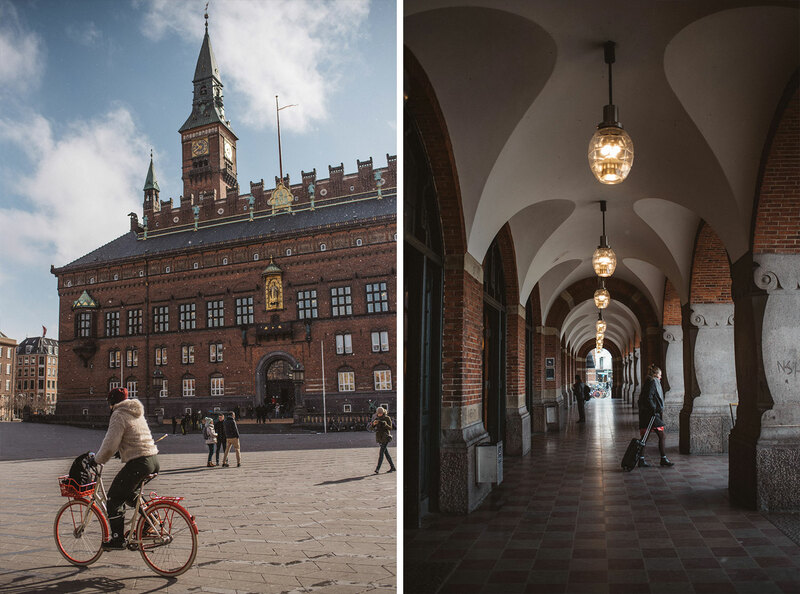 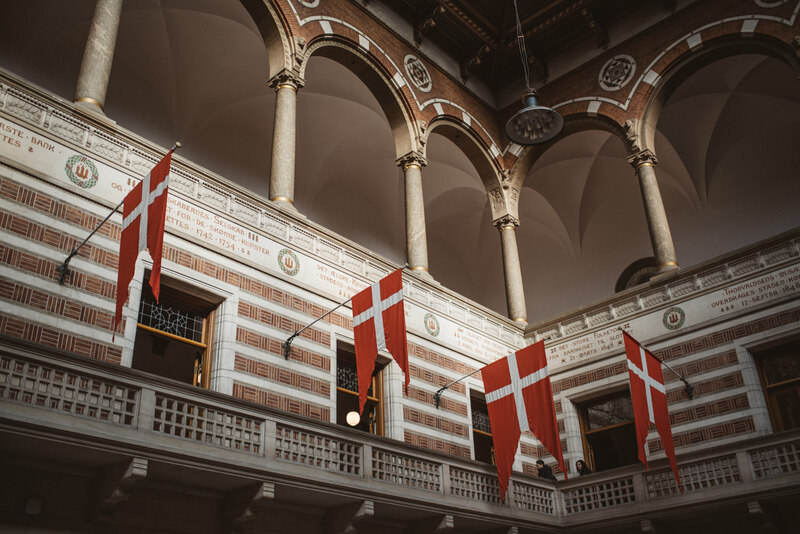 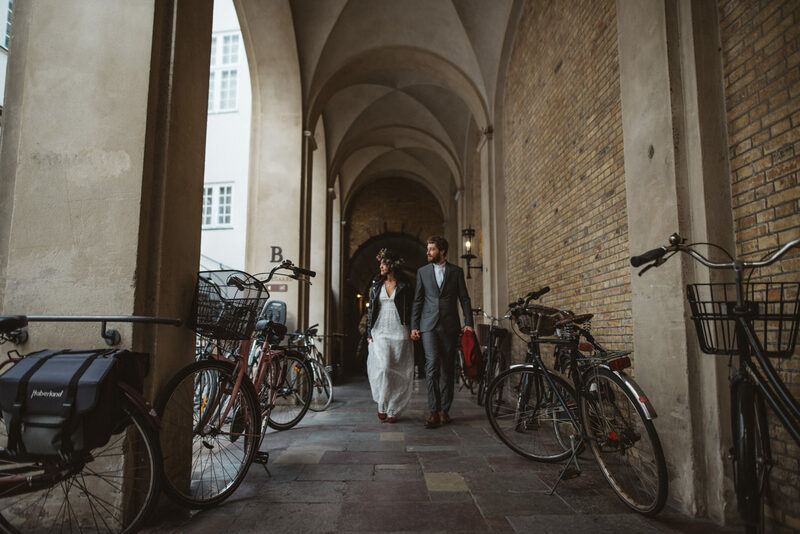 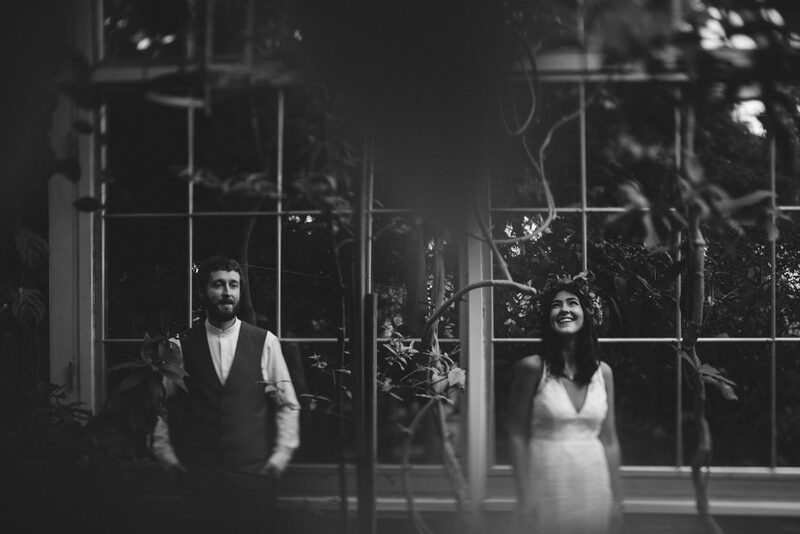 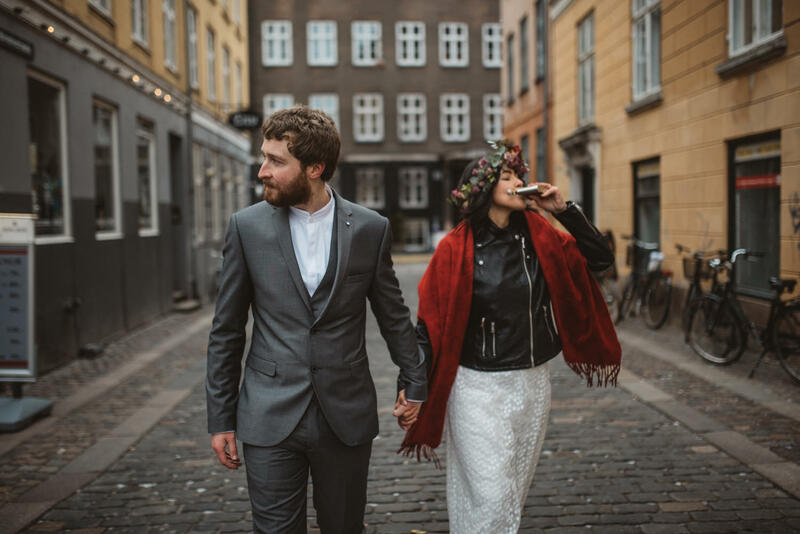 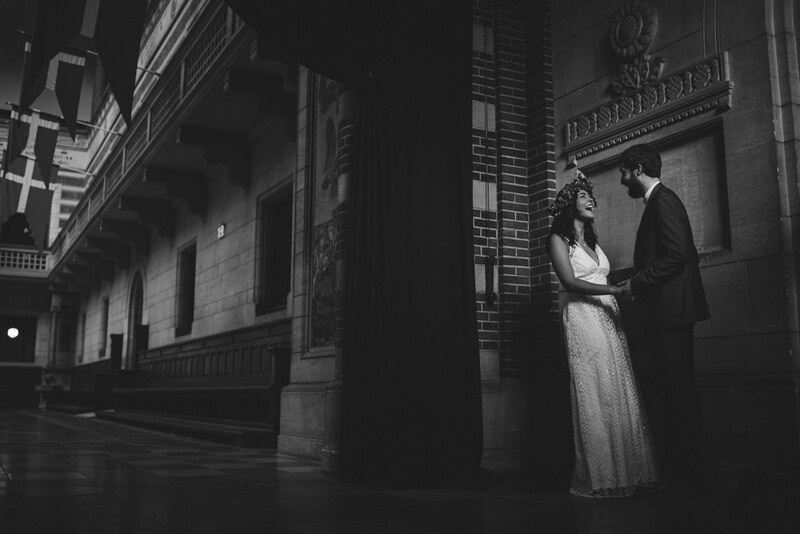 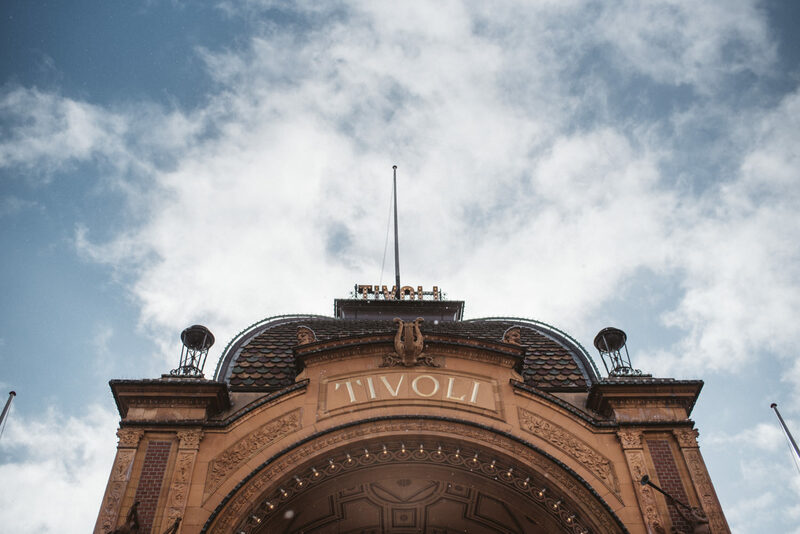 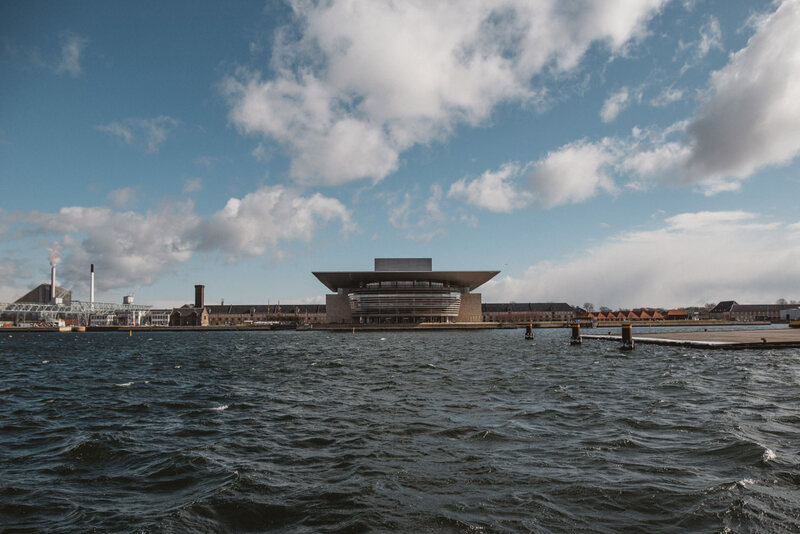 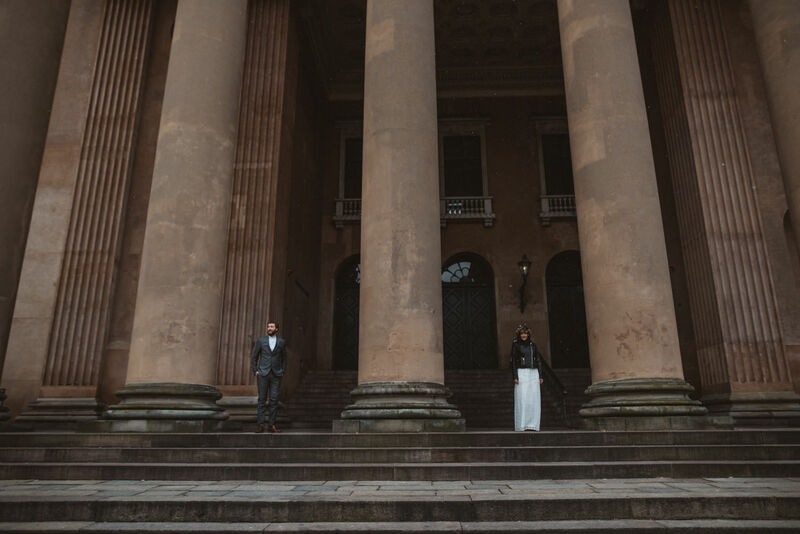 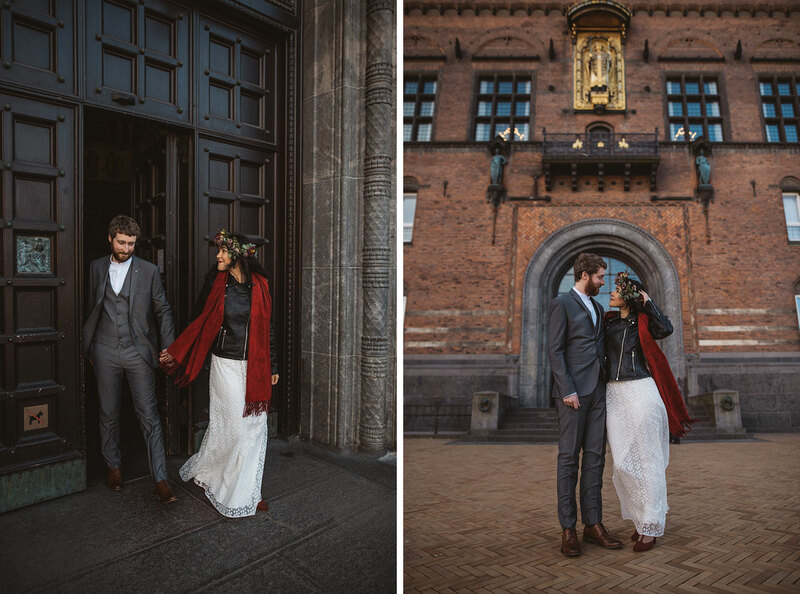 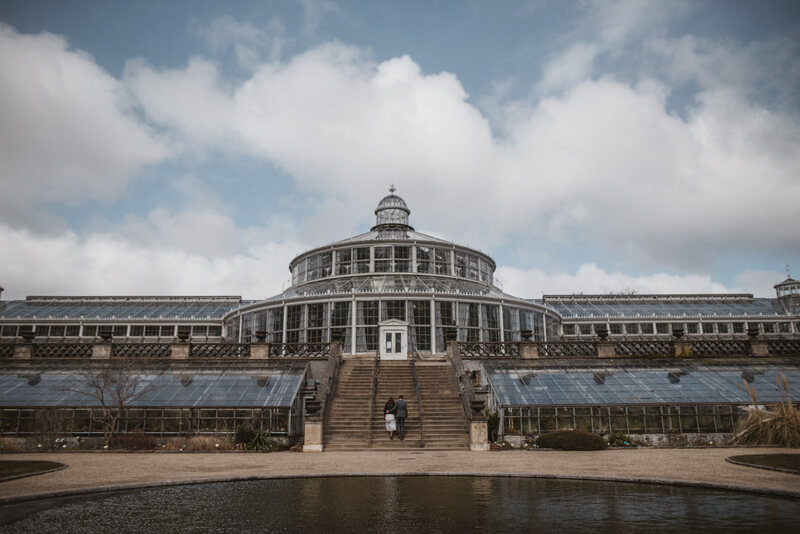 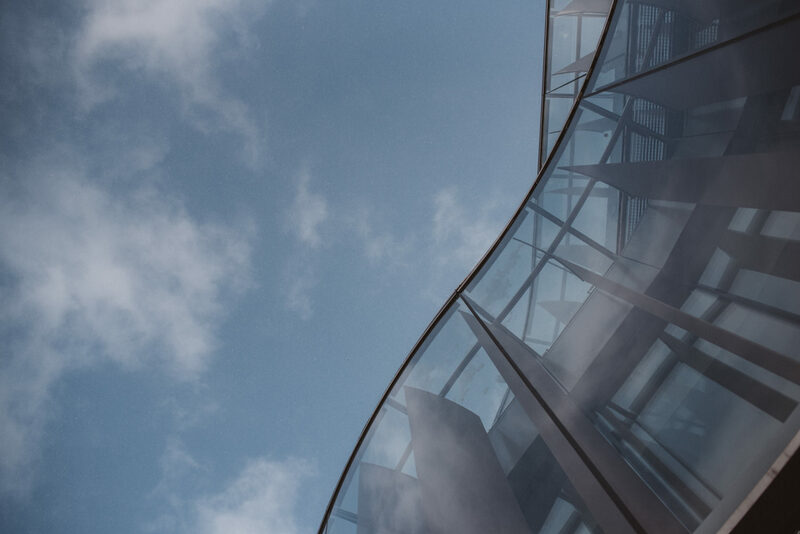 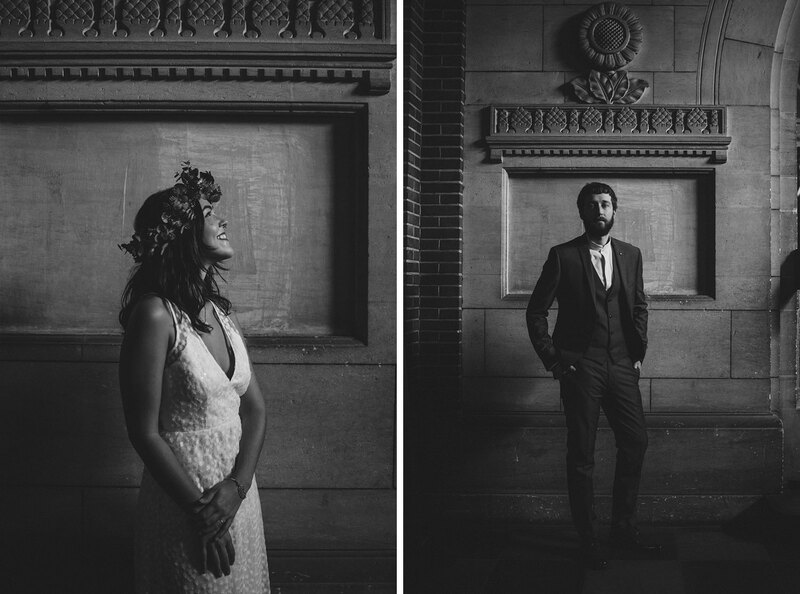 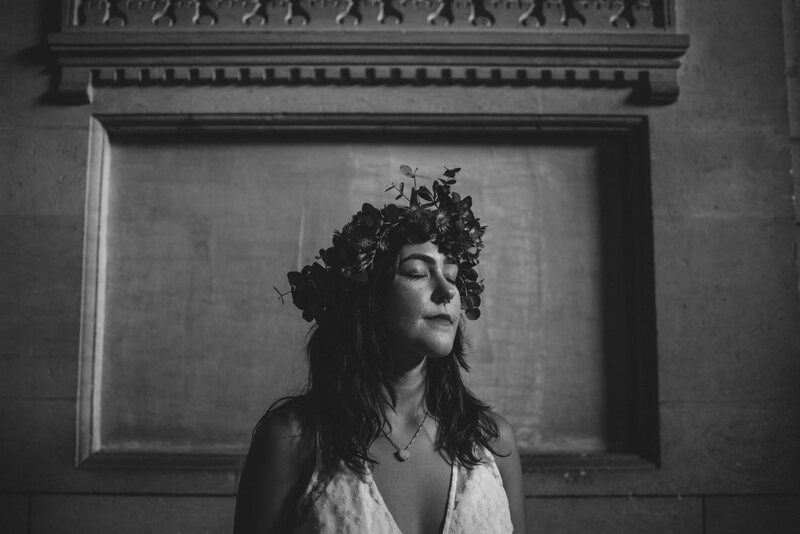 Looking for a Copenhagen Elopement Photographer?